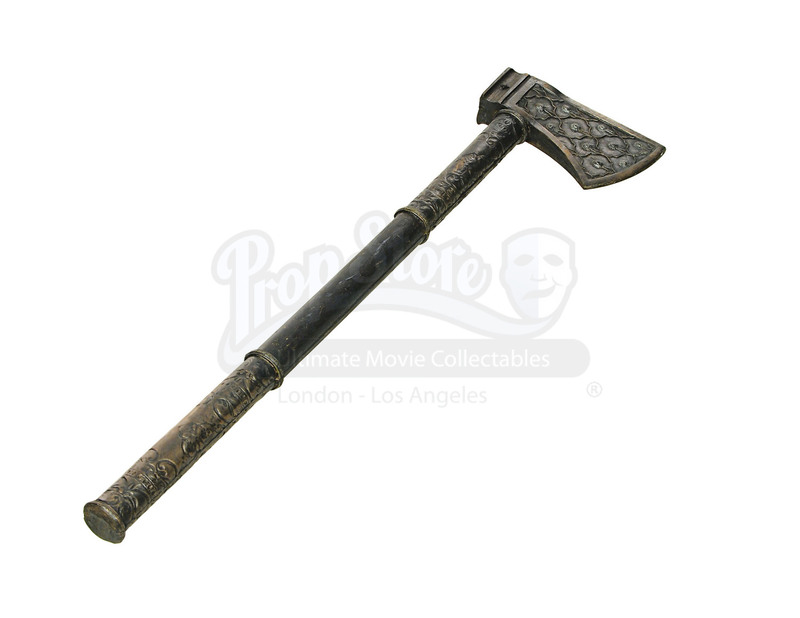 An axe used in the video game movie Prince of Persia: The Sands of Time. 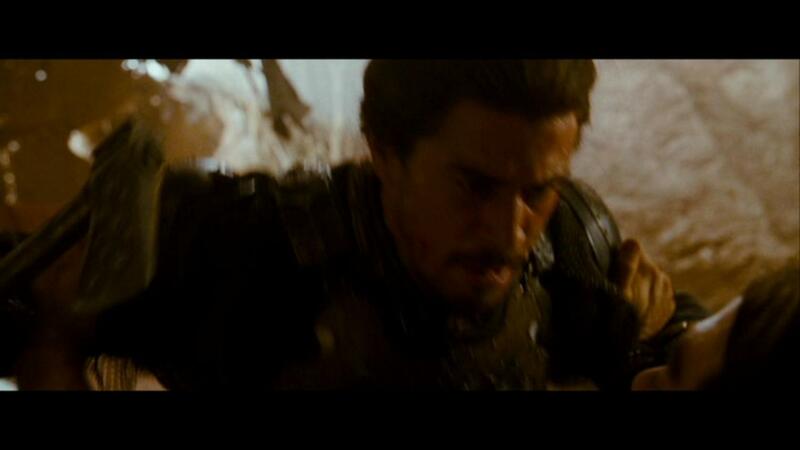 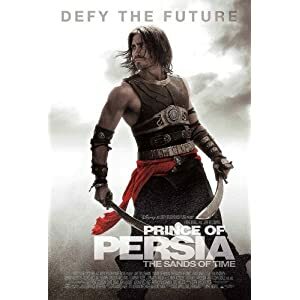 After Prince Dastan (Jake Gyllenhaal) is framed for the murder of his adoptive father by his uncle, Nizam (Ben Kingsley), it is up to him to uncover the truth while also preventing the apocalypse with the power of a magic, time-reversing dagger. 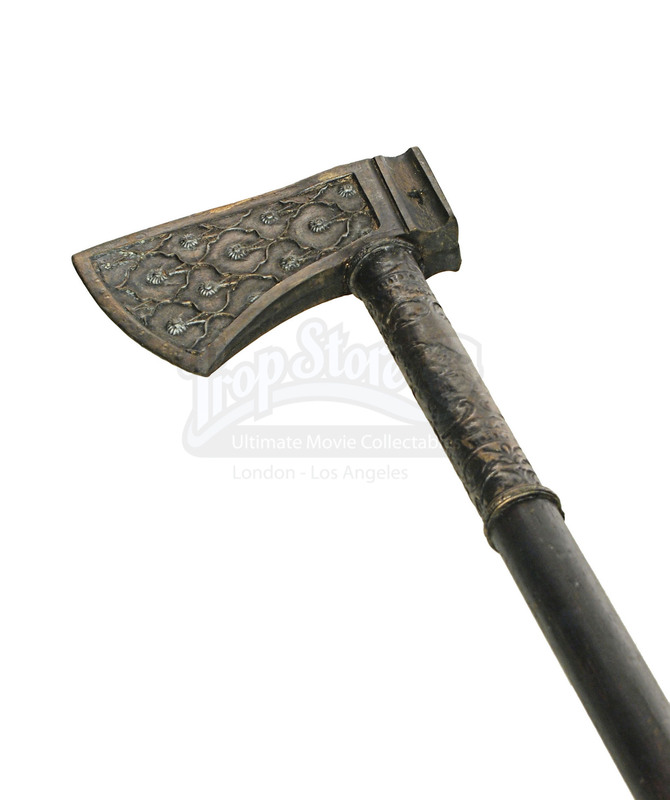 Made of hard rubber with a wood and bronze finish, this axe can be seen in use by Dastan’s adoptive brother Garsiv (Toby Kebbell) after he discovers his father’s death and tries to hunt Dastan down. 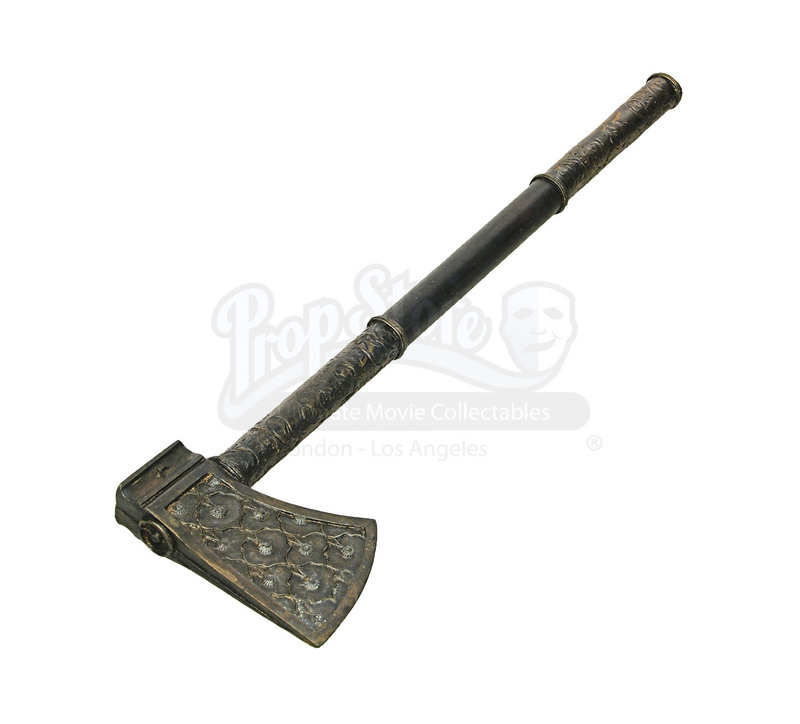 The axe has a fine heft to it and features ornate designs across its head and grip, truly signifying this as a weapon reserved for royalty. 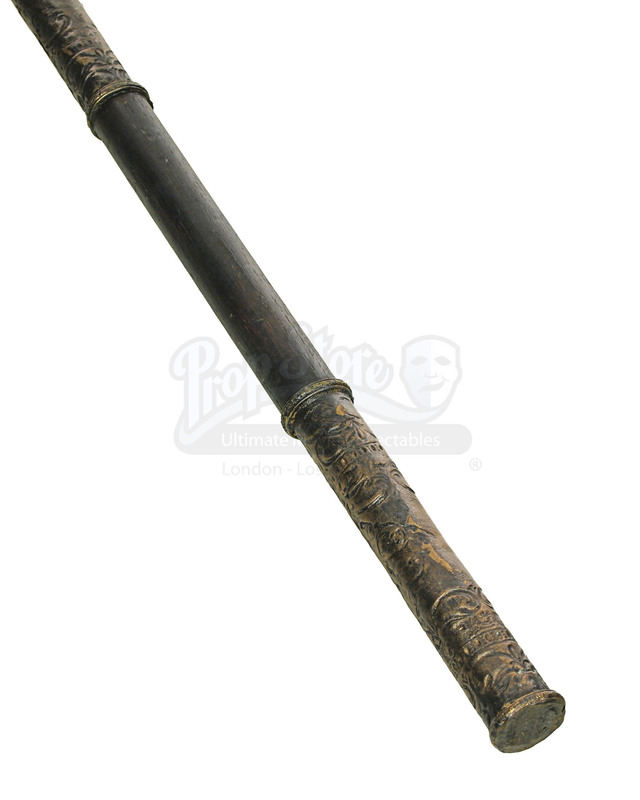 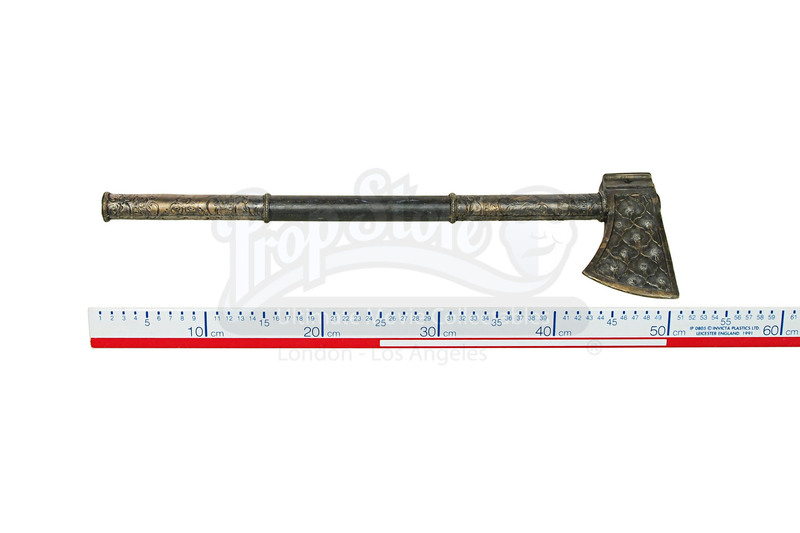 In fantastic production-used condition, the axe measures 53.5cm (21”) long and is 14cm (5.5”) across at the axe head.